As much as I love picking out the perfect gifts for people in my life (and as fun as it is to open them from others), the accumulation of THINGS in my world has gotten out of control. Maybe that’s because I have three children who have designated themselves as “collectors” (bottle caps, scraps of paper, cool objects found on the way to the bus, toys – broken or otherwise, etc.). So with the excitement of the holidays comes a tiny bit of dread… the piles are threatening to grow. AGAIN. And let’s be real here for a minute—the “get something, get rid of something” plan NEVER works at my house. As hard as I try, stuff has taken over my sanity. Don’t tell my boys, but I know that they are each going to be gifted with a series of dates with their grandma – I can already envision my seven-year-old reacting to the symphony’s performance of some his favorite John Williams compositions (the light saber will have to stay at home) and my book-aholic ten-year-old watching Secret Garden come alive off the pages and onto the stage. 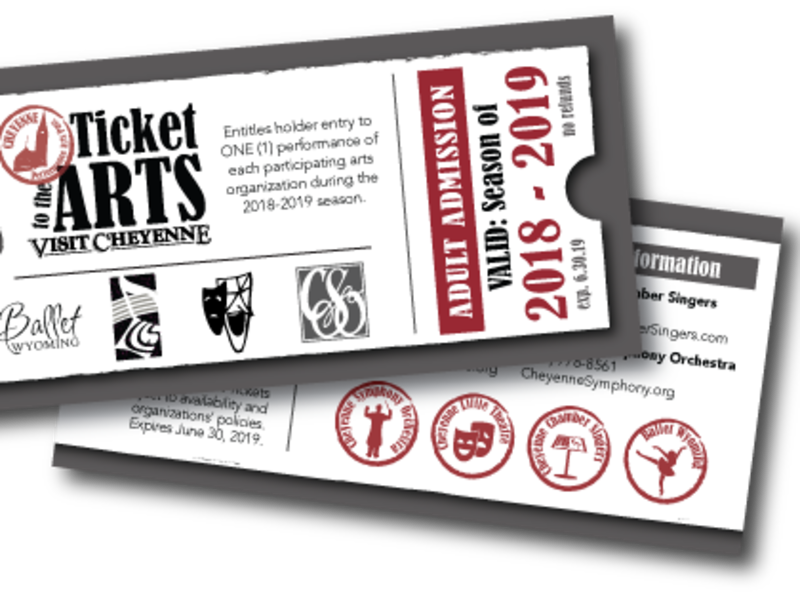 The exposure to costumes and movement at Ballet Wyoming’s rendition of Alice in Wonderland is sure spark their imaginations and I think I will encourage the boys to bring sketch pads when they go listen to choral arrangements and see what the music elicits from their brains – all while getting quality time with a loved one. And the best part? All I have to bring into my house is a piece of paper, representative of a season-full of memories and a sampler platter of art for my boys. THIS is a gift idea I can rally behind… heck, I would love to receive this gift for myself!